$100 per week plus housing and meals. We are a small, but busy 15-stall hunter/jumper/dressage and breeding farm in NW Georgia (about an hour from Atlanta). We stand multiple warmblood stallions and have multiple broodmares. Some stall cleaning, feeding and overall daily horse care will be required. Opportunities for starting and/or exercising Warmblood jumpers, hunters and dressage horses with regular lessons. Breeding, foaling and handling young stock are part of the program. The successful applicant will have some experience riding hunter/jumper or dressage and confidence with young horses. Farm manager and instructor is onsite full time. Please contact Erin at erin@risingstarfarm.net for more information! This is a non-smoking, non-drug environment. A fully furnished private bedroom in a comfortable home. Share large kitchen, private bath. Wifi, Satellite TV, washer/dryer, parking available. Farm is located 15 minutes from a college town in NW Georgia with ample dining, entertainment and shopping available (1 hour and 20 minutes from downtown ATL and ATL airport). 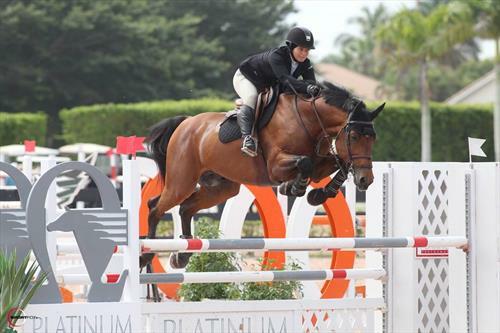 An opportunity to ride and handle top quality Warmblood hunters/jumpers/dressage horses. Also potential for learning all aspects of breeding and foaling. Great opportunity to expand your professional skills. Full service stallion station and breeding facility (mare care, breeding and foaling). Hunter/Jumper training. Young horse training. 13 stall barn (training/foaling) and 6 stall stallion barn. Large arena with mirrors. Large jumping arena. 12 turnouts. 2 bedroom, furnished apartment for working students.